Shen Yun Performing Arts returned to Vancouver for the ninth year this past weekend, playing four shows at the Queen Elizabeth Theatre. And as usual, the performance left audiences enchanted. Why can a performance bring a tear to the eye? When a stage performance is done just right and the performers are truly embodying something beautiful and true, there is an immediate and visceral reaction that binds one’s heart and soul to the performance. Shen Yun embodies the manifestation of this intangible characteristic. The artists regularly move audiences to tears through the beauty and sincerity of their performance. Shen Yun has been doing this for more than a decade, touring the globe and portraying the true cultural heritage of the Middle Kingdom. Their mission is to revive the 5,000-year-old culture—a culture that has been all but lost in China today. The lineage of China’s history has been subject to one of the great cultural devastations of our time. Similar to ISIS’s continual destruction of monuments and shrines in Iraq, the destruction of China’s culture at the hands of the communist regime—most notably the Cultural Revolution—was a systematic, government-led atrocity that left the Chinese people with only a shred of their heritage intact. It is for this reason that Shen Yun’s impact is profound, and the revival of Chinese culture they are spearheading is more significant than the surface belies. “The Book of Changes”, written 3,000 years ago, states: “The invisible and intangible is the Tao, and the visible and tangible is just a container.” In other words, the essence of a culture is really what cannot be seen, and that which can be seen is merely the culture’s physical manifestation. In order to accurately portray this essence, Shen Yun’s performers rigorously cultivate their character by adhering to the traditional spiritual values of ancient China. Audience members speak eloquently about Shen Yun, and their comments are often profound and sometimes even hint at a transformative experience. Rachel Dykshoorn, an organizing consultant who saw Shen Yun in Vancouver on Jan. 23, found a message of hope that “glimmered throughout” the show. “I felt that there was a value of working together, a value of creating a beautiful experience to inspire hope in everyone around them,” she said of the performers. The concept of divinity and man’s harmonious relationship with heaven and earth is something rooted deep in China’s collective psyche, perpetuated by a spiritual landscape that welcomed schools of thought—namely, Buddhism, Daoism, and Confucianism. Shen Yun brings this out in its performances. This whole focus on the power of the divine in its culture, in its art, in its expressions—that is something very unique. “This whole focus on the power of the divine in its culture, in its art, in its expressions—that is something very unique,” said entrepreneur and well-known community activist Barj Dhahan, who attended the Jan. 22 show. It was this spiritual aspect that touched retired pilot Lyn Hole on a deep level. “I really liked it. I felt like I could relate to the theme of the whole show that we do come from above … and I honestly believe that,” he said. Colin and Katherine Good brought their three children along for the Jan. 24 performance. Ms. Good appreciated the educational and cultural value in the show. “[There] was an impact on my children, which is what I was after and wanted them to see,” she said. “It was really uplifting and very enlightening,” her husband said, adding it helped kids see and appreciate other cultural perspectives. “It teaches you about what can happen in life, like everything is possible,” she said. Aditya Jaykumar, host of the popular “My Seven Chakras” podcast, said Shen Yun offers something people need to see. “It’s a strong message. At the end of the day, peace, culture, art, [and] creation should be spread, and it was beautifully put today. I was looking forward to it, but this event really exceeded my expectations and I am really glad I am here,” he said. Matthew Purdy, the owner of Toy Traders, Canada’s largest independent toy store, could sense the cohesion of the performance. “I really felt that there was a real sense of unity—from the performers and from the culture,” he said. 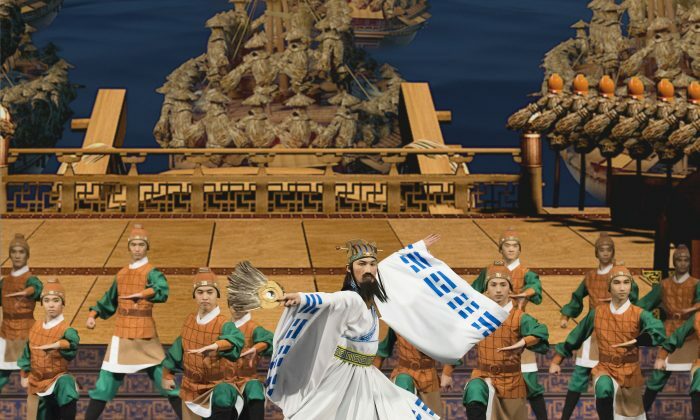 Shen Yun Performing Arts will return to Eastern Canada in the spring, playing in Toronto (April 21–24); Mississauga (April 26–28); Montreal (April 30–May 1); Quebec City (May 3–4); Kitchener (May 6); Ottawa (May 8); and Hamilton (May 10–11).